Cleveland, OH – Tune in to SportsTime Ohio for high school hockey and basketball state championships! SportsTime Ohio will televise the ice hockey state championship game, four (4) division state boys basketball games, and four (4) division state championship girls basketball games. Please see the game schedule below. For the hockey game, Dave Wilson and John Mowat will call the action with Will Ujek reporting rink-side. For the girls basketball games, Dave Wilson, Lyndsay Rowley, Andre Knott, Todd Bell, and Michelle Mimna will all be involved providing play-by-play, color commentary, and sideline reports. The broadcast team for the boys games will be Michael Reghi, Mike Cairns, Tony White, Scoonie Penn, and Michelle Mimna. 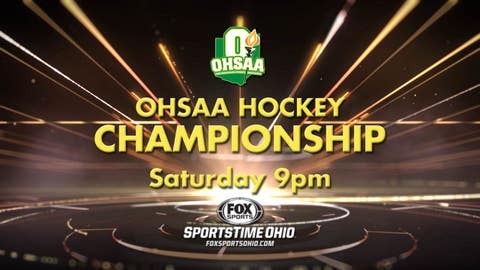 For more programming information visit www.foxsportsohio.com or follow SportsTime Ohio on Facebook and Twitter #OHChamps. To order copies of the games, visit http://www.ohsaa.org/FanGuide/OHSAADVDOrderForm.pdf. · The game will also replay Sunday, March 9 at 2:00pm and 7:00pm.